Welcome to the evolutionary pathway that is Awakening Heart, an energetic healing art that works with Divine light and consciousness to heal the root cause of disease within the body, clear emotional patterns, and evolve the subtle energetic system. Opening the heart and awakening you to the freedom of your true nature. Beginning with the first stage of training and developing to even greater depth at later levels practitioners are provided with the tools to work with the transformational power of Divine energy and consciousness at this very deepest level of healing empowering them to facilitate the energetic clearance of the root cause of disease and dysfunction from where this sits within the body-mind and all aspects of the subtle energetic system. Then furthermore not only to clear this conditioning but also to energetically evolve the whole system into deeper alignment with the Divine supporting the process of spiritual awakening and a greater discovery of the oneness of life. Bringing with this a tremendous focus of resolution to karmic issues and subsequent freedom from limiting belief programs or emotional patterns as well as whatever may previously not have been able to be wholly embraced within its fullness. 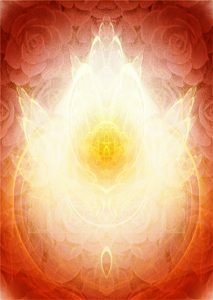 More than being simply designed to generate physical and emotional health or well-being what is facilitated via this Divine healing art may thereby be seen as a process of spiritual acceleration through which participants awaken from out of their conditioned perception of themselves, others and the world. As each of the transmissions received during the training programs act not only to evolve your subtle energetic system and provide you with a vast variety of different healing tools with which to work on yourself or others, they also dissolve the root of what-so-ever obscures your true nature and which subsequently causes energetic imbalance or disease. Serving to restore health and emotional harmony as well as to awaken you from out of the experience of yourself as a separate being to that which you truly are, so that what may emerge is the fullness of your heart and you may live from that place of profound creative potential, freedom, beauty, inspiration, compassion, love and truth. © 2019 Awakening Heart. Disclaimer: Awakening Heart is a complementary energetic healing art. It is not a replacement for medical treatment. Please consult your physician for medical issues in addition to any complementary healing you may receive.